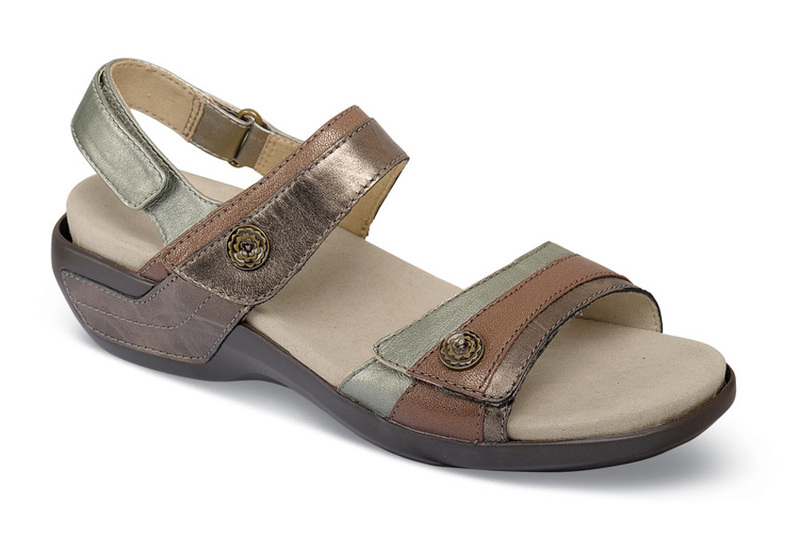 The “Katherine” sandal from Aravon has three straps with hook-and-loop closures for easy adjustment and a super-comfortable EVA and Memory Foam removable footbed, but it’s the snazzy colors and styling of the metal-tone leather uppers that you’ll love best. 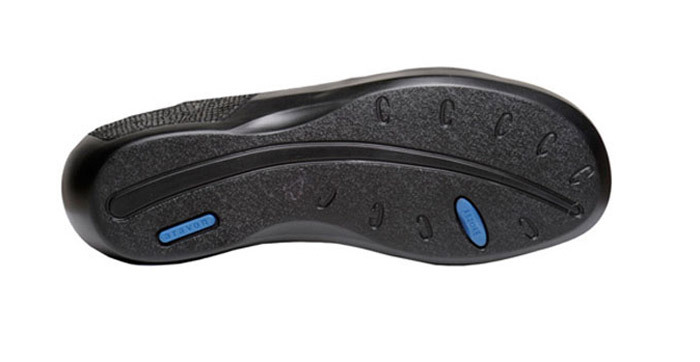 The shock-absorbing polyurethane outsole with 17/8 inch heel height has a fiberglass shank. 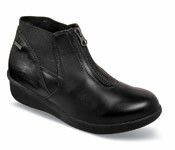 Women's whole sizes 5 to 13 in 2E width. Limited sizes available.